Throughout the history the enemies of Hazaras have persistently tried to devise contentions and cripple these people economically, politically and most importantly morally. Several taxes were imposed and Afghan administrators were sent to occupy places, where they subjugated the people with abuses. People were disarmed, villages were looted, local tribal chiefs were imprisoned or executed, and the better lands were confiscated and given to Afghannomads. In 1880, Abdur Rahman Khan set out a goal to bring Hazarajat under his control. He launched several campaigns in Hazarajat due to resistance from the Hazaras in which his forces committed atrocities. History is the witness that Hazaras faced their enemies very boldly but our enemies were well aware of taking advantage of the situations. At the time of Abdur Rahman, Hazaras had allies in two different groups, Shia and Sunni. Abdur Rahman took advantage of the situation, pitting Sunni Hazaras against the Shia Hazaras, and made pacts among the Hazaras. Abdur Rahman could easily repeal Sunni Hazaras by declaring Shia Hazaras Rafizi (infidels). In the late 20th century, we witnessed the same scenario by the snakes in the grass during the civil wars in Afghanistan. Mr. Shaikh Asif Mohseni declared the Hazaras Rafizi (infidels). In 1992, with the fall of Kabul, Shaikh Asif took sides with Burhanuddin Rabbani’s government while Shaheed Mazari took sides with the opposition. Due to some in-house traitors Hezb-e Wahdat was defeated and eventually forced out of Kabul in 1995 when the Pashtun Taliban movement captured and killed Baba Abdul Ali Mazari. There are some people who want to harm Hazaras with the same sinister intentions in Quetta Pakistan. Hazaras are civilized, capable and fast growing people. It does not seem to be bearable by others. Hazaras are law abiding people and patriotic. They do not believe in militancy and violence. During the last one decade they used all democratic means to raise their voices against injustices. However, there were dimensional interventions especially Iran’s through some internal puppets who have had no role so far other than portraying Hazaras religious extremists and recently publishing some baseless and nonsense articles. They are those self-stricken who use pen surnames (Changezi, Hazara…) and fear to expose their evil faces. They are some paid agents who are ready to sell their conscience by making themselves fools. I feel like wasting my time in writing this piece in response to the two pieces (HDP’s diabolical game in Quetta and Who killed HDP Chairman Hussain Ali Yousofi?) by a non Hazara named Raza Changezi published on LUBP. In the above two articles the writer has tried his level best to prove Hazaras terrorists. “An eye-witness of his assassination, standing near the bank from which Yousofi had just withdrawn cash, told me minutes after Yousofi’s killing that the assailant was a Hazara boy”. More than 800 innocent Hazara men, women and children including political leaders, businessmen, professors, teachers, social activists, vegetable vendors and laborers were killed. Most killings vividly claimed to have been done by LeJ. How can a Hazara boy target his leader in a densely populated area of the city? This is a conspiracy to portray a peaceful nation being directly involved in terrorist activities and killing of more than 800 Hazara and thousands of other Hazaras who are directly or indirectly affected. Shaheed Baba Mazari, who was carried 15 nights and days bare feet on shoulders of his people and Hazaras around the globe were mourning and crying blood on his martyrdom, is being told to be killed by Hazaras themselves in the article posted on LUBP. There is no finger count but at least 800 Hazaras are being targeted by LeJ. In one of the above articles, 500 Hazaras are figured out killed. Being one of the most persecuted nations of the world, Hazara nation condemns oppression, cruelty and massacre of innocent people. Being in a multinational and multi cultural province or country we want equality, brotherhood, mutual respect and peace. We are even against injustice done against other minorities like Christians, Hindus and others. However, there are some of the view “Why are religious Shia-Hazaras, and even common ones are killed, but not a single HDP person has been killed by Lashkar-e-Jhangvi, Why?” What do you think readers? The writer is saddened that still few Hazaras are killed. The writer and his associate want to divide Hazaras in to different groups. They think as if members of Hazara Democratic Party are not Hazaras. How long should we let these puppets misuse our youths’ sentiments? Dear readers, the operative word being enclosed above is the word “Why”. I let it on you to answer this guy who longs for more dead bodies of Hazaras. History is the witness that such people have always used the sacred religion of Islam like a tool to accomplish their sinister aims. On Sunday, Sept. 02 four Pushtun boys were caught desecrating an Alam which had been fixed on a mountain top in Quetta behind the densely Shia-Hazara population of Mehrabad. They are some who are believed to be non Hazaras. They appear only when the election gets nearer. The chief editor of LUBP Mr. Abdul Nishapuri with the fake surname Chengezi twitted declaring that he does not have time to read and edit the articles posted on his site. To be honest it bursts everyone into laughter. Such irresponsible people should not be given the right to write whatever they want and eventually come up with an illogical answer. Last but not the least may Allah bless Shaheed Hussain Ali Yousofi and curse those who turn blind eye to his services and sacrifices just putting pen to paper for paying attribute. No conscious Hazara can deny his cultural educational and political services. college life. He wrote various dramas, directed and performed in those dramas. He is for no doubt the first Hazaragi writer, particularly in dramas and shows. .He wrote dramas, directed and performed in them. He also worked in Hazaragi Program in Radio Pakistan in the name of Pawan Lalai. He had compiled around 3 thousand Hazaragi Proverbs which were translated in Urdu, English and Persian and latter published in the form of a book. He had written and published countless articles. He always served overseas Hazaras with his kind guidance in their immigration issues and stay permits. He started his political struggle from the platform of Hazara Students Federation. He remained president of HSF twice. In 1987 he was elected the Councilor of Halqa 16, Quetta. he was once jailed and tortured by pro-Iranian mullahs in Jaghori who had declared him Kafir (Infidel). He played very important role in unifying his people at national and international level. He was more than a teacher for Hazara nation. He educated people by his superb speeches. For him it was not important where the members of his community were from; they were only Hazaras. He had liberal thought and advised his people not to be extremists. Shaheed Yousofi might be considered atheist because he had said, “If I am to live and die hundred times, I will not deny being a Hazara.” He said what Hazrat Imam Hussain (a.s) had said that he would not bow down in front of injustice, cruelty and oppression. He used to openly and bravely highlight the negative trends in his society. Hussain Ali Yousofi openly said in his speech days before his martyrdom, “I am not ready to give a handkerchief to anyone who is to take it by force.” He said, “Living in a multicultural and multinational province, we must respect others’ sects, believes…” Yes, he was talking about our prides, sacrifices, history and showing the ways of development and made a platform for the dispersed Hazaras. Shaheed Yousofi is told to be atheist by some fools because he said” We should be disciplined by not interfering in the matters which we don’t know. Clerics can’t handle political affairs and politicians can’t handle religious affairs.” For those who are not insane, division of labor in a society never means saying against religion. It is not the first time that these so called Muslims are declaring him atheist. He was declared to be non Muslim some days before the last election by some mullahs (clergies). I still remember it was the Eid day, few months after he was elected as a chairman of party when a group of HSF including me went to meet him. We asked him about his further planning. He said that he would soon invite all the organizations for collective work and would have trip to all foreign countries where Hazaras were residing and would build a strong relationship with Hazaras around the globe. His wishes did not come true. And finally, on January 26, 2009 he was assassinated by a banned Sunni militant group, LeJ on Jinnah Road just in front of his office. 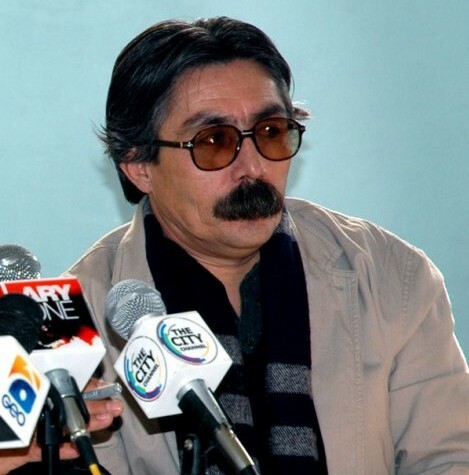 His assassination was considered one of the greatest losses to the Hazara nation since the 1995 killing of Abdul Ali Mazari by the Taliban in Afghanistan. The political representation of Hazaras in Pakistan is served by their only political party, Hazara Democratic Party, a secular liberal democratic party. In September 2002, the political workers, scholars and other Hazara tribesmen worked together to form a political platform for the Hazaras of Pakistan which would serve the nation for their rights and justice. After meeting with different political worker and tribesmen on July 1, 2003 they announced a national and political Party with the name of Hazara Democratic Party. If we do not turn blind eyes to the ground realities, from the time of its formation it has always been in interaction with the people. It has given people a political vision and track. To rise the voices of Hazara people to national and international level, it left no stone unturned. In order to strengthen the relationships and promote brotherhood among the other communities of Baluchistan, party leadership arranged national and international meetings and conferences. Having no MNA and MPA, what could it have possibly done more than this in some few years? Want to stop writing more, the following points let debatable by HSF. 1. Struggle for political, social, economical and all out rights of Hazara nation on the bases of fraternity and equality. 2. Build political and social relationships with Hazaras on international level. 5. Struggle for democracy, democratic organizations and democratic values. Though we do not need to answer or respond to filth vomited by Let Us Bully Pakistan to please their lords, still it is indeed a great article, very well written and not a single baseless accusation unlike LUBPigs.